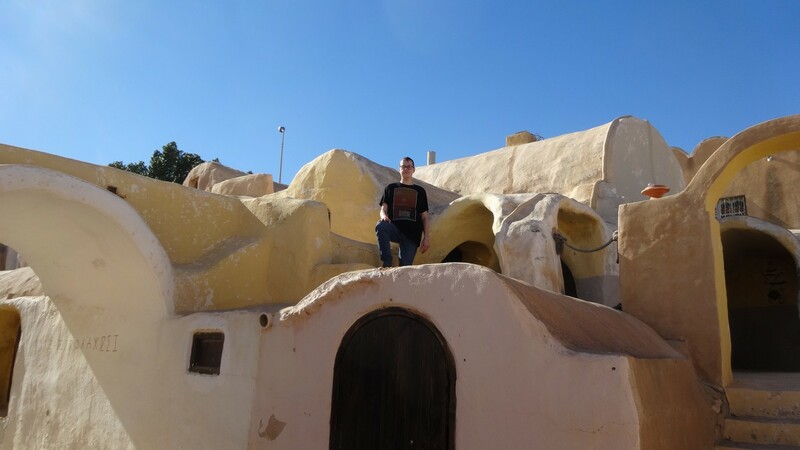 To start off this celebration year I (someone who loves The Phantom Menace which started my love for Star Wars) visited the shooting locations in Tunisia. Before you continue reading, do keep in mind that Tunisia is not the easiest of countries for us in the western world to travel to. Various governments disagree about the safety of Tunisia. For example the government of my own country (the Netherlands) says that not all the shooting locations are in save areas, while the UK government does say that, with only other areas still as a ‘not advisable to travel’. And despite me having felt safe during my journey, it is always best to be sure and check with your local government before travelling. 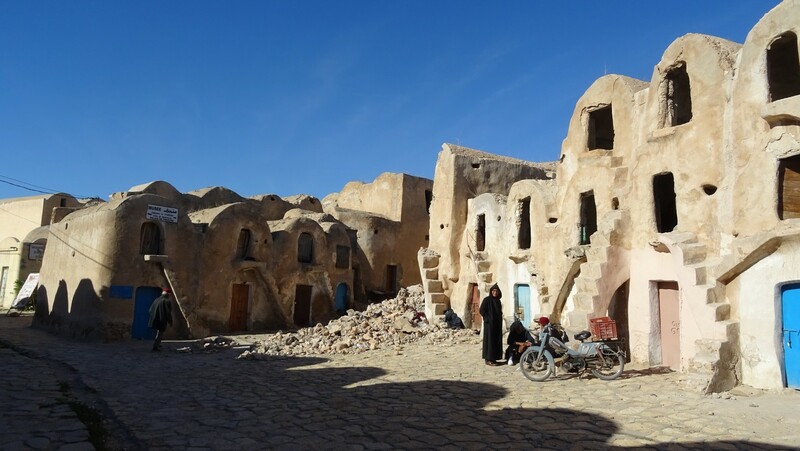 Besides that, Tunisia is a country where a lot of people are poor, resulting in a living standard that vastly differs from what we are used to. So do keep that in mind if you decide to travel there, because despite all of that it has many amazing things to offer for us fans. 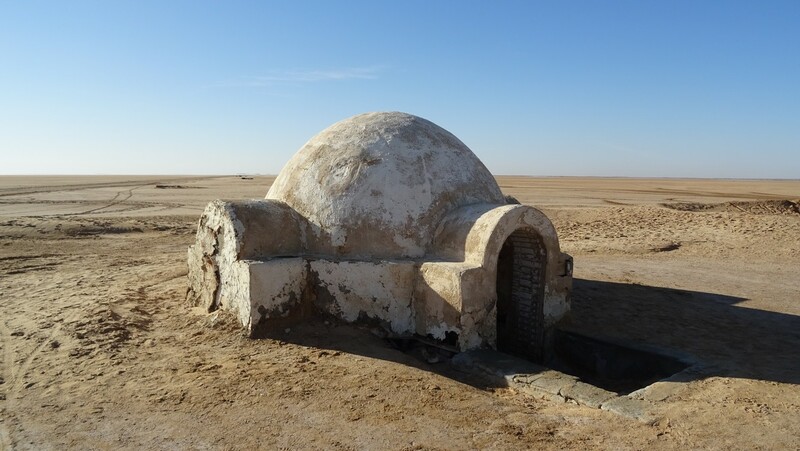 Below follows a travel journal from myself, and while the focus is on the shooting locations of Episode I and the state they appear in after twenty years, I won’t forget other locations from Attack of the Clones and A New Hope. 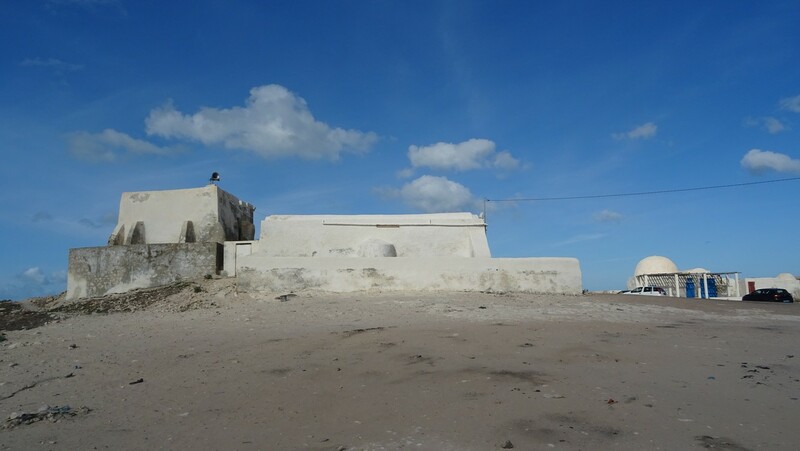 The day after landing in Djerba I went on my first road trip through the country. Now normally people decide to start with Ajim and the A New Hope locations there, but as said my nostalgia lies with The Phantom Menace, so my first stop was Medenine. 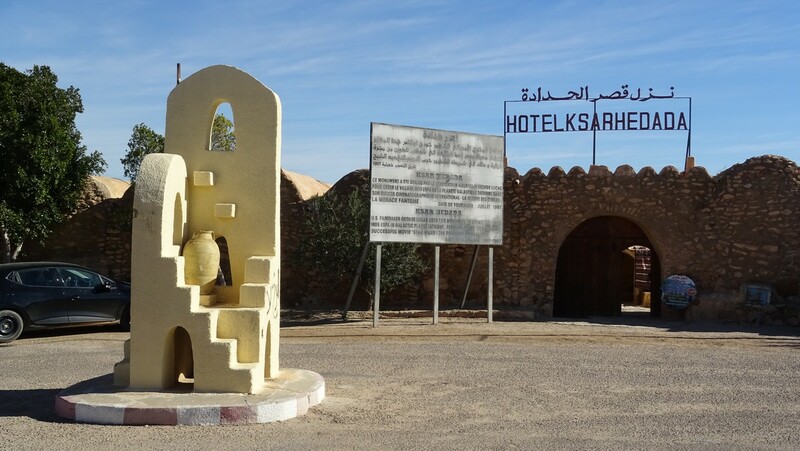 I arrived there after a drive from a 1,5 to 2 hours after my departure from Zarzis. Medenine is quite a sizeable city for the country, and trying to find the location of Skywalker Alley is not the easiest of tasks. 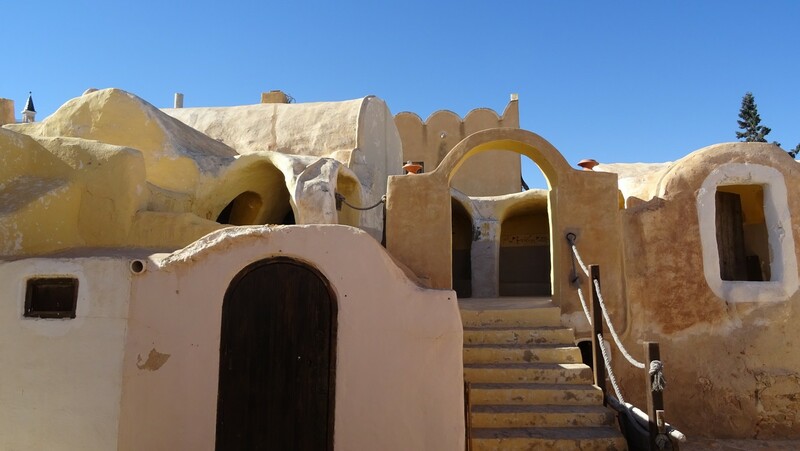 Skywalker Alley is the nickname given by fans for the exterior of the front of the home of Anakin and Shmi. 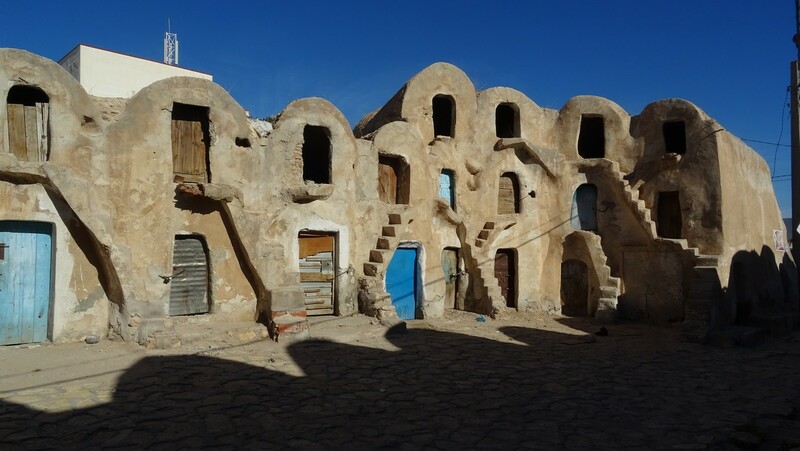 This was filmed in front of existing ghorfas (grain storage rooms, combined together in a ksar) in an unnamed street. And that is what makes it difficult, most streets are not named in this country and most people only speak French and Arabic. Yet after walking around in the general direction that I knew it had to be, and after spotting a plaza featuring similar ghorfas, I knew I was close. In fact it turned out that the plaza was adjacent to the Skywalker Alley. Even after twenty years, the location is still instantly recognizable from the movie. A few differences can be noted however: The lovely prop-doors have been removed, and most of them by local people. 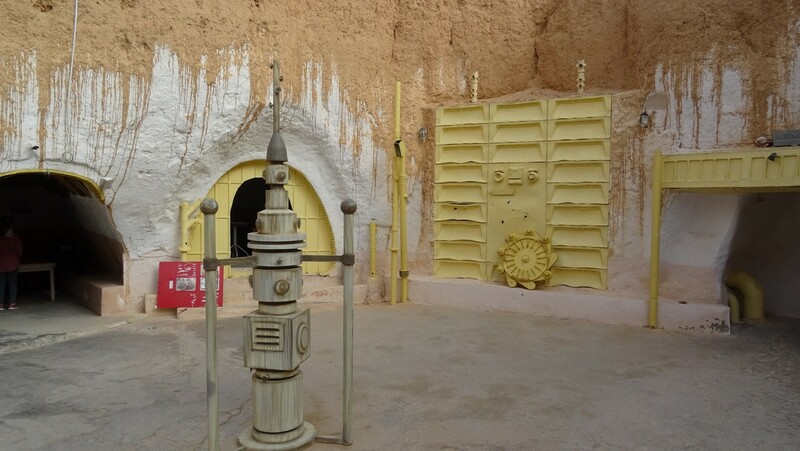 Steve Sansweet managed to rescue one of those doors (which was being used in a chicken coop) and has put it in his collection in Rancho Obi-Wan. And, curiously, there is no sand in front of the doors, but rather big paved stones that would be murder to travel with your bike over. 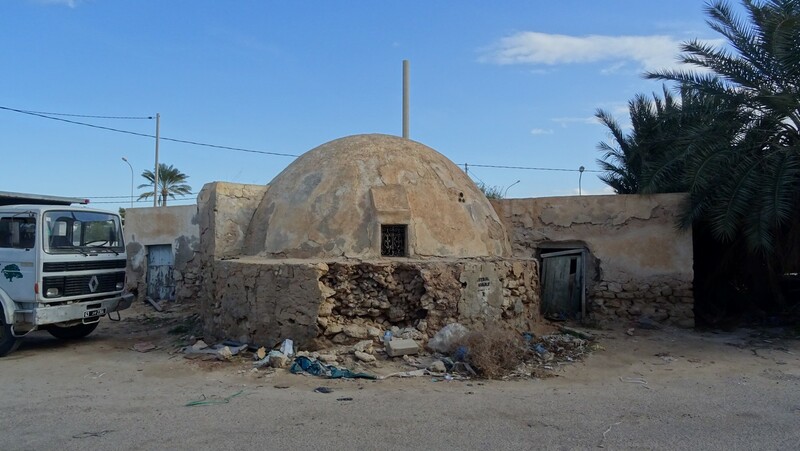 The main downside came from one ghorfa being either in the process of getting demolished or crumbling down in decay on its own. Now this ghorfa is one that is hardly visible in the movie (it appears to the right of Qui-Gon as he watches Anakin running back to his mother), so it does not quite ruin the comparison photos you can take there, but it is a cause for concern regardless because if this is the first to fall down then more may follow. But let’s not hope so for such an iconic location. 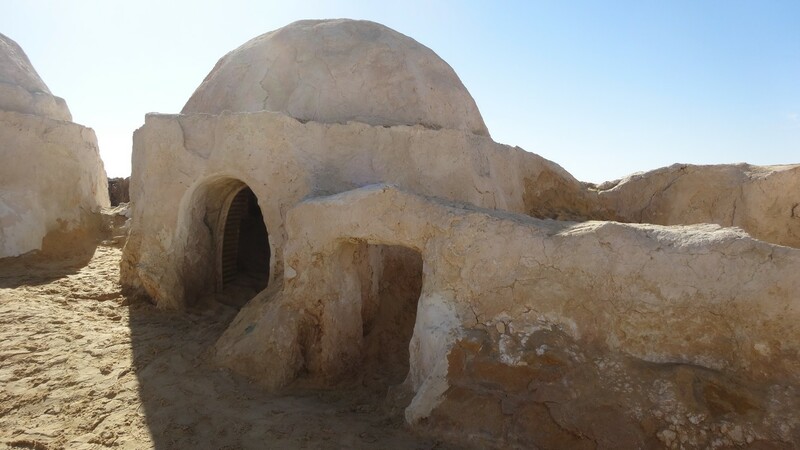 To visit the backside of Anakin’s home you have to travel roughly 36 kilometers, which takes about 45 minutes, to the town of Ksar Hedada. 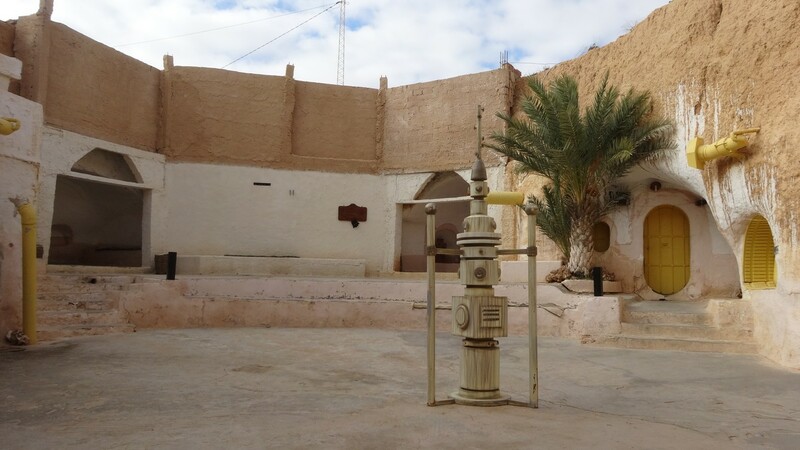 Unlike Medenine, this location is actually quite easy to spot: It is a hotel right in front of a mosque with a big sign in front of it telling you in French, Arabic and English that you have arrived on a shooting location site for The Phantom Menace. Now while the owners claim it is a hotel, I personally could not imagine sleeping there and could not find a way to book a room. Anyway, for a couple of dinar (3 dinar is around 1 euro or dollar, with 1 British Pound being almost 4 dinar) you gain access to the hotel and a cup of (bit bitter) tea. Right after entering the premise, take a left and keep walking till the end. 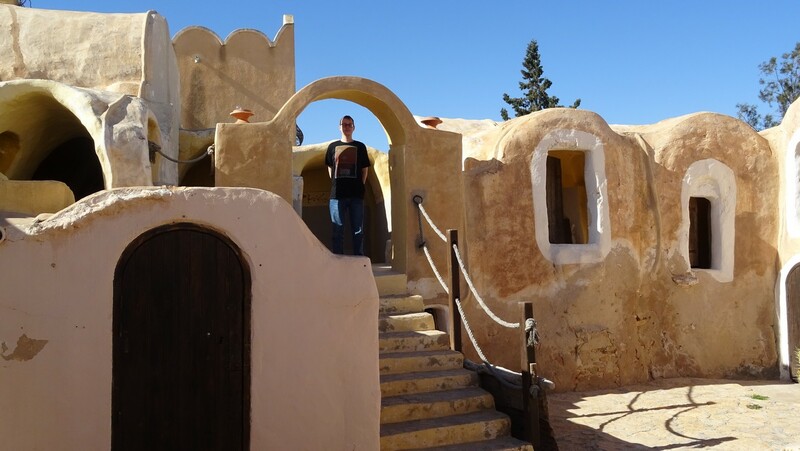 There you will see the balcony where Shmi and Qui-Gon talk while watching young Anakin prepare his podracer. 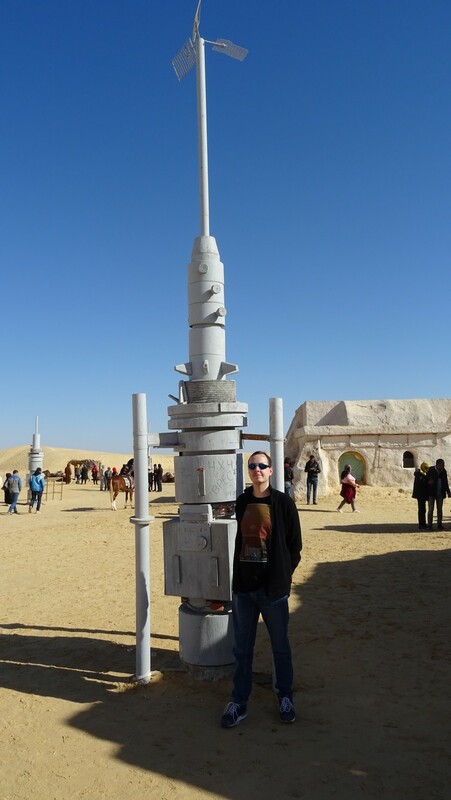 However this was clever editing because the podracer actually stood on a small set nearby the Mos Espa sets, but has been lost in the sands of time. Luckily the balcony is still there, in great condition, but the recent renovations to the hotel does mean they added an arch that was not there in the movie. 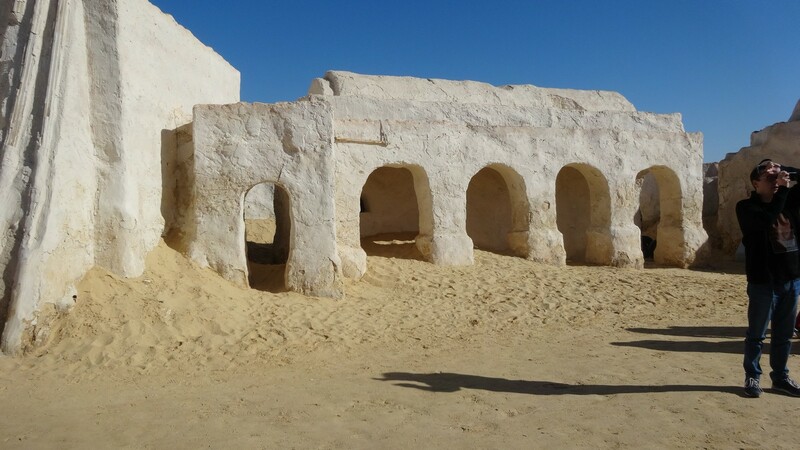 The most special part of this location is the re-discovery of a location us fans thought had been lost: The small wall Anakin sits on while Qui-Gon takes his blood to be tested for midi-chlorians. 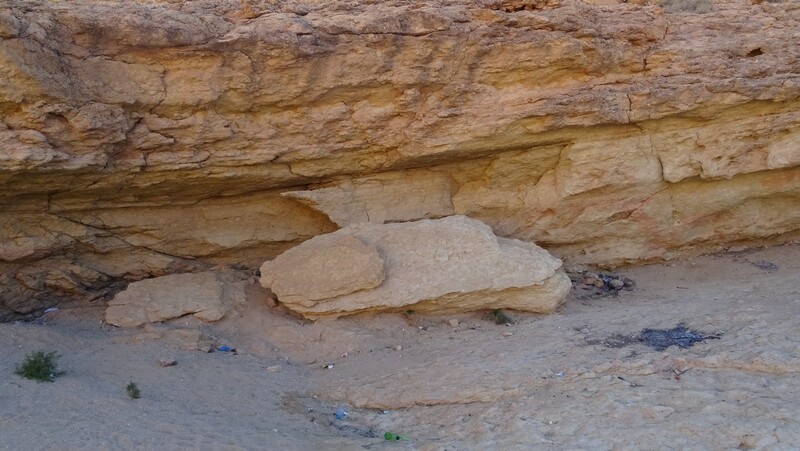 The British fan, and location expert, Colin Kenworthy, had speculated that this wall was not a small set but a part of an existing set, with Ksar Hedada as his number 1 possibility. He had asked me to check and confirm, and that I can do: It was right here, a little bit to the right of the balcony. 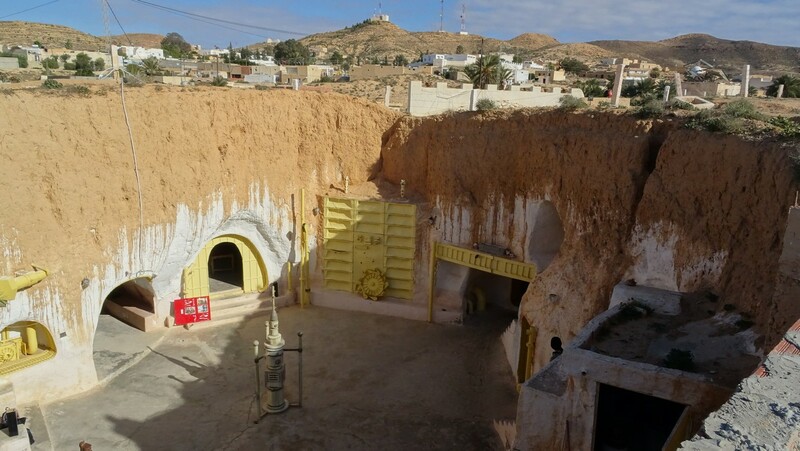 The rest of the day was filled with Ksar Ouled Soltane (most likely not a shooting location, but some people still claim the ghorfas there were used to fill in CGI background shots) and Tataouine. 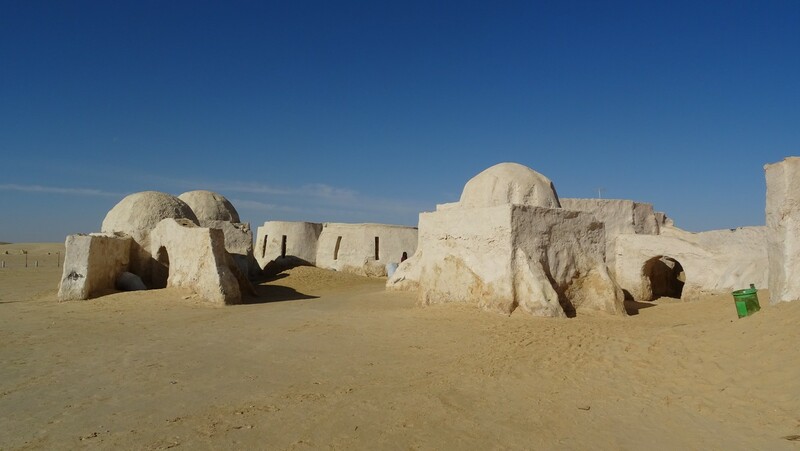 Tataouine seems to be the name inspiration for the planet that was still called Utapau in the early scripts. 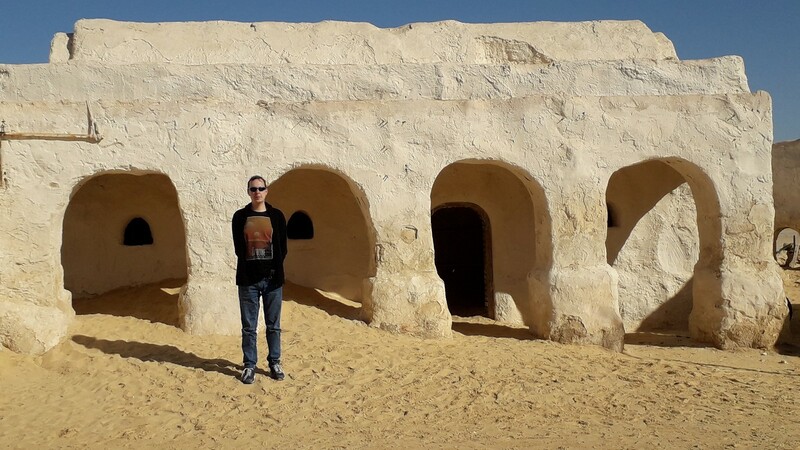 The next couple of days I visited all the shooting locations of A New Hope. It started with taking the trip finally to Ajim. 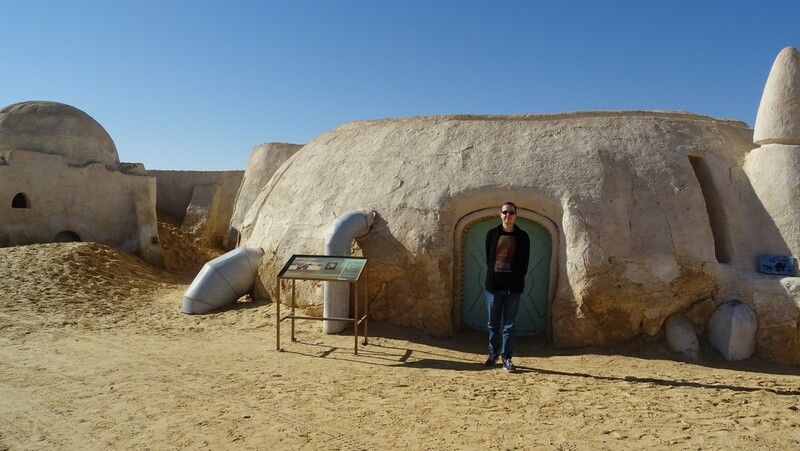 There I saw the Cantina, Ben Kenobi’s hut (pre-Special Editions) and Tosche Station. And here we reaffirmed the lesson that the previous day told us: when a building has value to the locals, they take care of it. 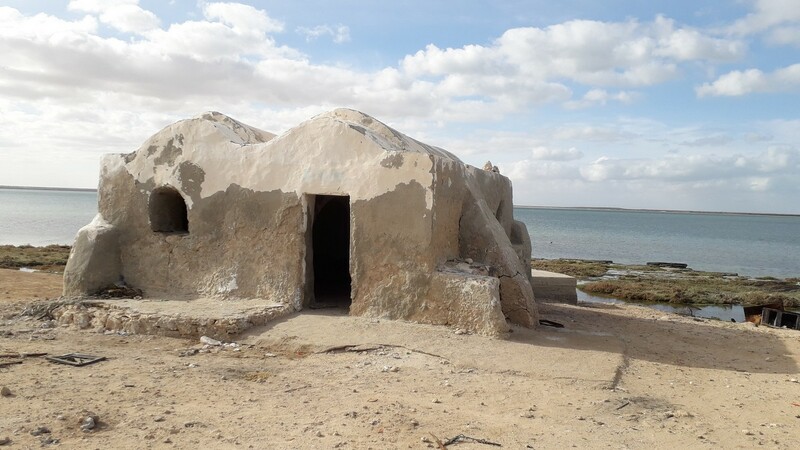 This was the case with Ben’s hut and Tosche Station, which are a delight to visit and quite recognizable despite it being more then 40 years later that they filmed there. Sure they have aged and differences can be spotted, but are still in decent shape. Sadly, that was not the case with the Cantina. Being formerly a bakery, it is currently not in use and has fallen into ruin with a part of it crumbling down. This is quite sad to see to be honest. 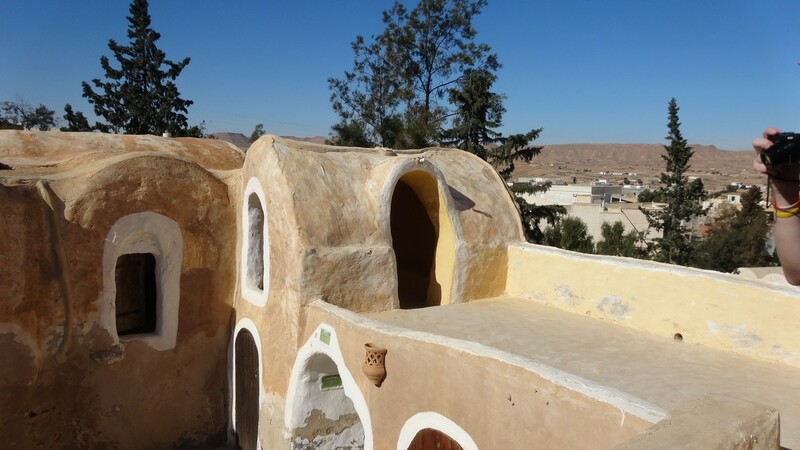 Next came a long drive that took most of my day from Zarzis to the new hotel in Tozeur, with a break at the Lars Homestead interiors in Sidi Driss (a hotel that really exploits their Star Wars fame, but I cannot blame them and it keeps the location in decent shape) as well as the Star Wars Canyon, Sidi Bouhlel. Because it is a natural location it is well preserved and a delight to walk through. Shame about the trash of people who apparently camped out in the canyon. Especially because they choose the well-known Jawa rock (from which they droidnap R2-D2) to have a bbq, causing a big burn mark to ruin the spot a bit at the moment. 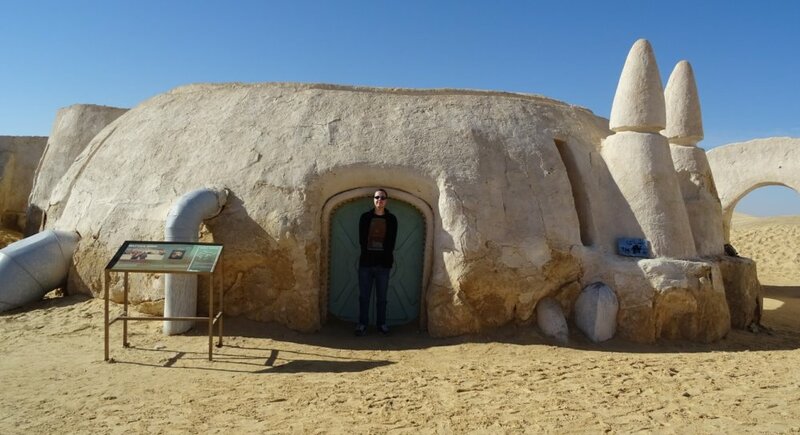 And then came the last day in which I visited the Star Wars shooting locations (a day later I would walk through Indiana Jones’ Cairo), which started with the Lars Homestead, the igloo that already was starting to show wear and tear despite the few times it has been renovated by now, and the big one: Mos Espa. 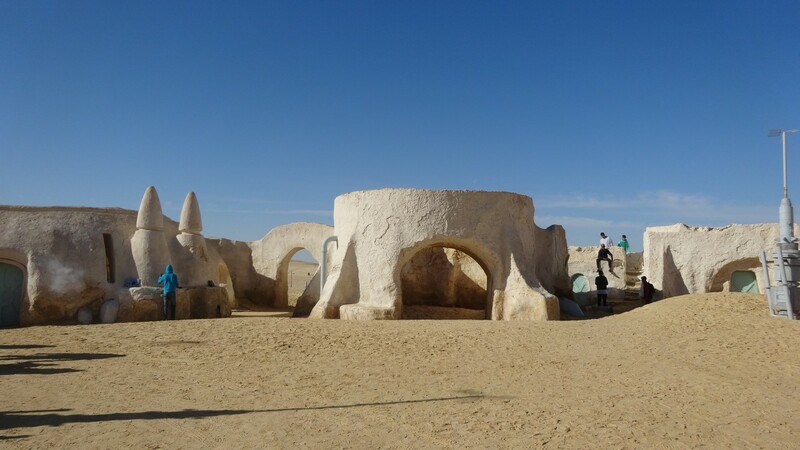 They say save the best for last, and by coincidence, that really was the case with visiting the Mos Espa sets and nearby locations like the landing sites of the Sith Infiltrator and the ship of Queen Amidala. 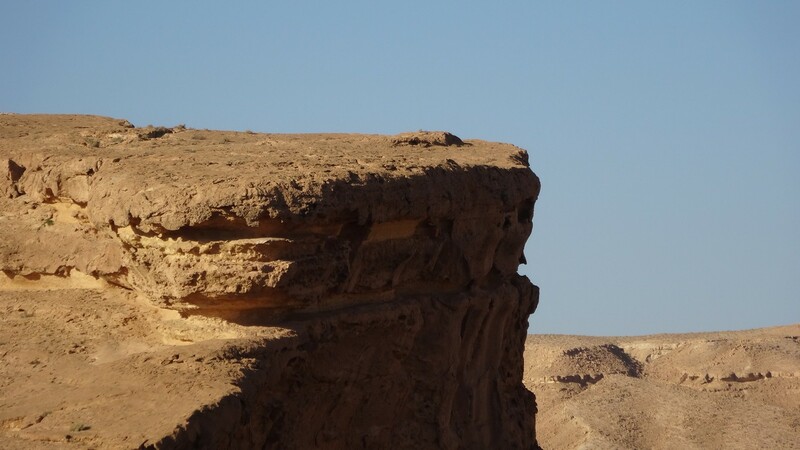 The location for these are a little above the town of Nefta, with the landing sites closer to Ong Jmel (Camel Rock). During the production for The Phantom Menace they had build two streets of Mos Espa and used clever editing and CGI/matte painting enhancements to make Mos Espa look way bigger than it actually was. 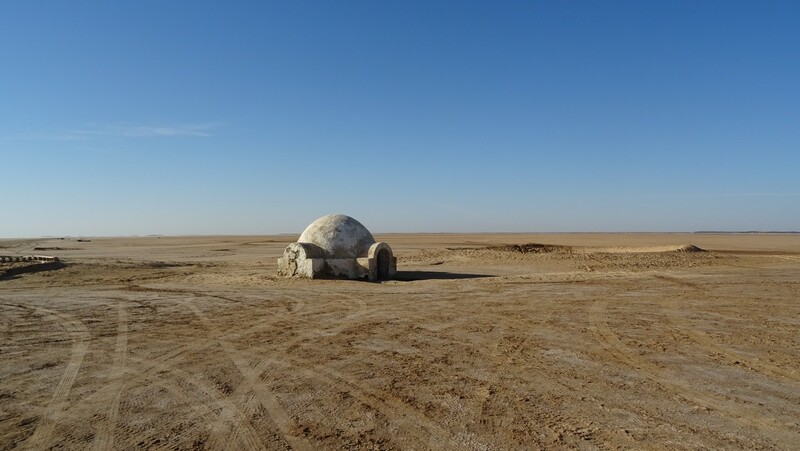 After filming was done they had left it standing because they knew that in a few years time they would have to return to it to shoot scenes for Episode II. After that was done as well George Lucas decided to leave it for the locals to do with as they pleased. Luckily for us these locals were also of the kind that saw the money into maintaining and exploiting the sets, leading to the eventual adding of the location site among Google Maps as an attraction, which really helps to make it easy to navigate towards it. On the parking lot in front of the sets you can hire jeeps and 4x4s for various dune tours, and although I did not tried it as I had my own rental car, I am sure that if you hire them that they can bring you to the Ong Jmel locations for some dinars. The last bit of exploitation is not what you would expect, which would be asking an entrance fee, but instead of asking for that they have a small market set up with local gifts and souvenirs that you can buy. After passing that market you enter the first street that features some generic buildings that you can still identify in the movie besides not having a clear function to it like Akim’s Munch. This was the café where Sebulba got into a fight with Jar Jar Binks. And while the chairs and other set decorations are obviously long gone, those arches with little windows make it quite recognizable. With no angry Dug to threaten me I took my time and shot quite a few pictures there myself. When you walk onwards you quickly make the bend to the other street and there I saw the building that hit me the most emotionally: Watto’s shop. Now I mentioned earlier in this article that my love for Star Wars came from this movie, and a big part of it came from Mos Espa’s aliens like Watto. So I admit, I had to fight some emotional tears from welling up when I walked over there. The door of the shop is one you cannot open, but walking around it you will come across an opening in the wall through which you can still enter the shop. 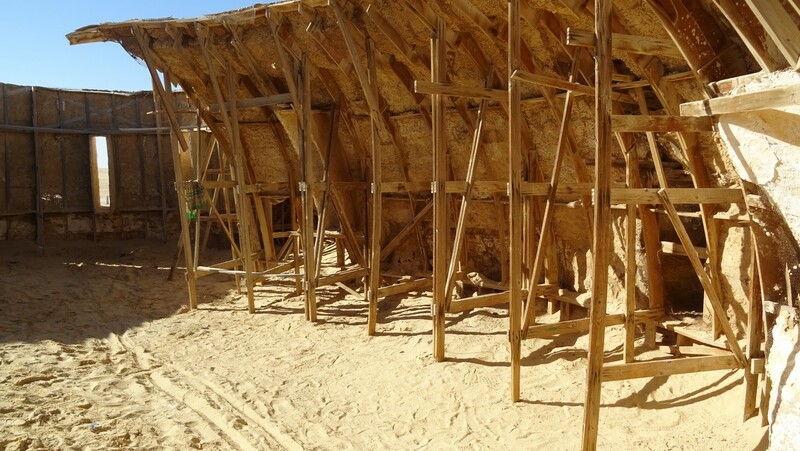 Only you see the typical fake-Hollywood interior for any set with just some wooden beams to support the front. Yet that did not ruin the illusion at all of walking through Mos Espa. 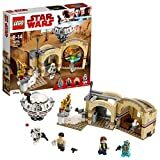 The sets are in a pretty decent shape, although the sand that starts to pile up against some of the buildings are a bit of a concern. All in all it was an amazing journey that ended in the most special of the locations, at least for me. Those hours I spend walking the streets and looking at every building and every archway were hours that flew by because in that time I felt like I was really on Tatooine, that planet of scum and villainy that we all love. Curious to visit these locations yourself? For more information follow this link to my article series Galactic Backpacking that tells you in detail where they are or contact me for any questions you may have to help plan your own journey.